After obtaining her law degree, Tara worked as an associate attorney for a firm practicing estate and probate, as well as, business transactions. In 2011, Tara joined Mullen & Filippi. She represents employers, third-party administrators and insurance carriers with respect to workers' compensation claims and related matters. 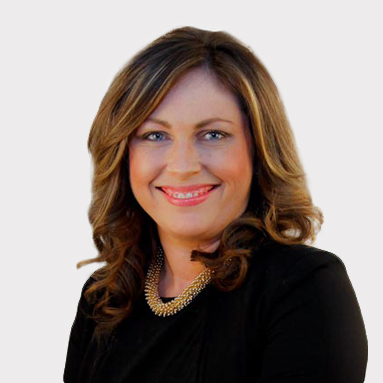 Tara has handled complex cases including but not limited to AOE/COE trials with numerous witnesses, and also represents employers with respect to allegations of serious and willful misconduct. Tara advocates for early case settlements, especially at the time of applicant's deposition, along with aggressive file handling. Tara received her Bachelor of Arts degree in Political Science and minor in Criminal Justice at California State University Bakersfield in 2003 where she also became a member of Pi Sigma Alpha. While earning her B.A., Tara also participated in an undergraduate internship with the Kern County District Attorney's Office Gang and Prison Division. After she received her undergraduate degree, she pursued her law career at Whittier Law School. During law school, she clerked as a certified law clerk for the San Diego City Attorney's office as well as the Orange County District Attorney's Office in the misdemeanor, sexual assault and gang units. Also during her law school career, Tara clerked for the Whittier Law School, Center for Children's Rights. After obtaining her J.D., Tara went on to obtain her LL.M. in Taxation at Chapman Law School. Tara is a member of the State Bar of California and a member of the workers' compensation law section of the State Bar of California. From a young age I was always captivated by law and politics and drawn to the practice of law. One of my greatest inspirations and influences in my life was my late grandfather who practiced law for 40 years. As workers' compensation defense attorneys we have the opportunity to transform workers' compensation law by advocating for our clients. Workers' compensation is always changing and always challenging. There is nothing I love more than a challenge. When people meet me, they are always surprised by the fact that I live in Bakersfield. The truth is that if I could live anywhere, it would be here in Bakersfield. This is where my son was born and where my family lives. There's no place like home.